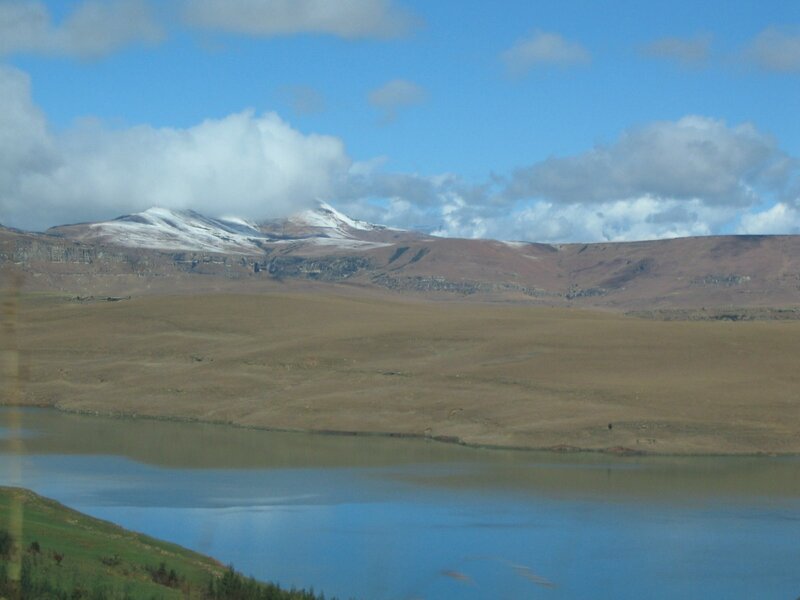 When a cold front hits the Southern African Cape … …..
… it usually travels up the country … and several times during our winters .. deposits snow on the highest peaks in the Drakensberg, Kwa Zulu Natal …. 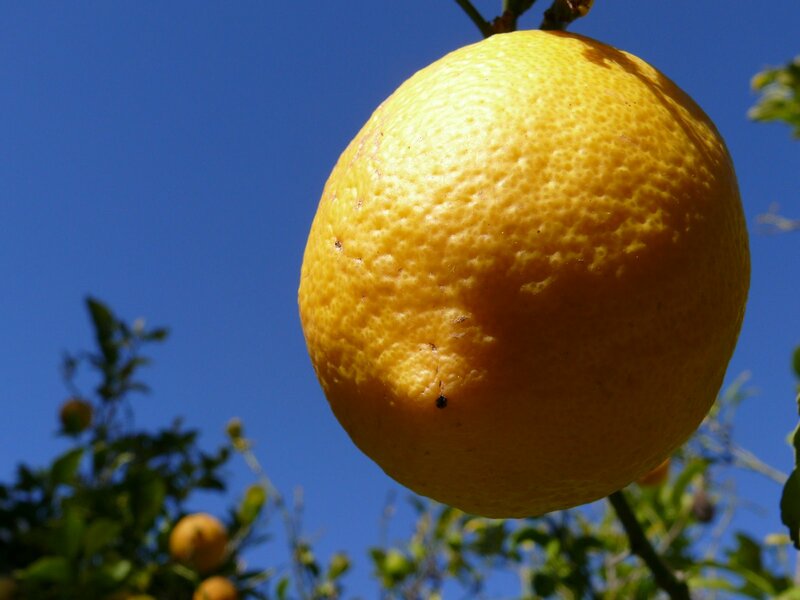 … and sun-kissed lemons on our laden-with-lemons tree … … umm .. I’m thinking lemon meringue pie again .. ?! .. Even the little birdies think summer is on it’s way – a weaver made his nest the other day and is trying to entice the females to have a look … no ‘go’ so far !! Well, would you ? … it’s a little untidy … !!!!!! I see more blue skies in this award winning red wine bottle !! 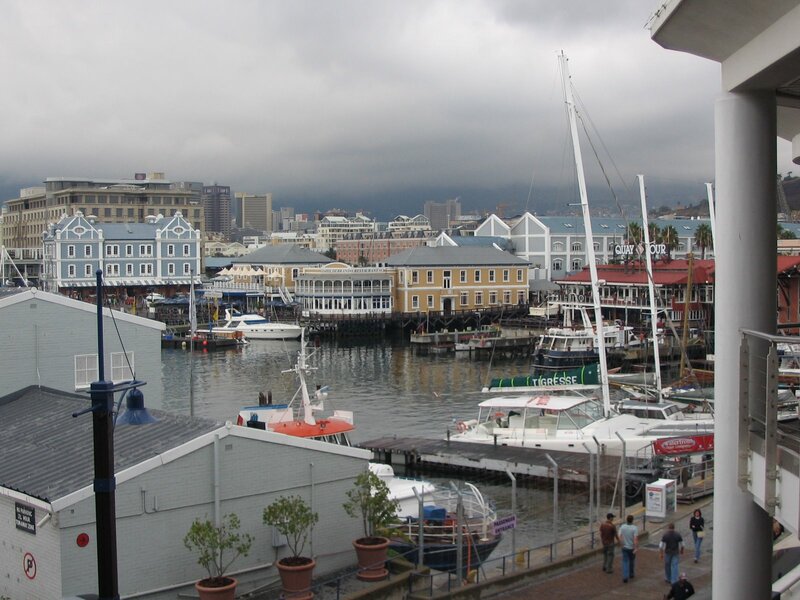 It has also recently received a Gold Medal at the Old Mutual Trophy Wine Show 2009 …. and I have to say it is yummmmmy !! 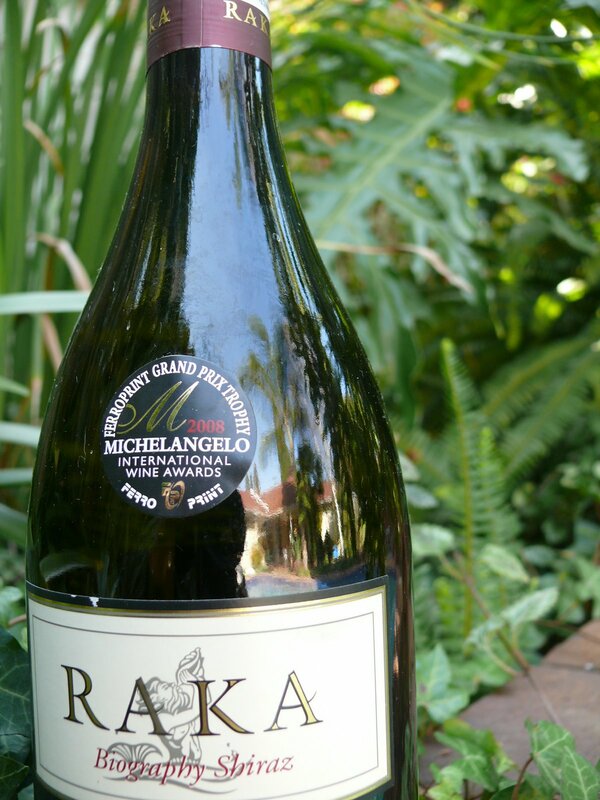 Raka winery is in Kleinrivier near Standford – in the Walker Bay area of the Western Cape. Have you been there Cheryl and Bob? Note to you both – it’s an excellent wine .. worth a trip to the wine tasting ?? !! Oh my! That first photograph really does look cold, doesn't it!! Nothing like a good bottle of wine to warm up the old soul! 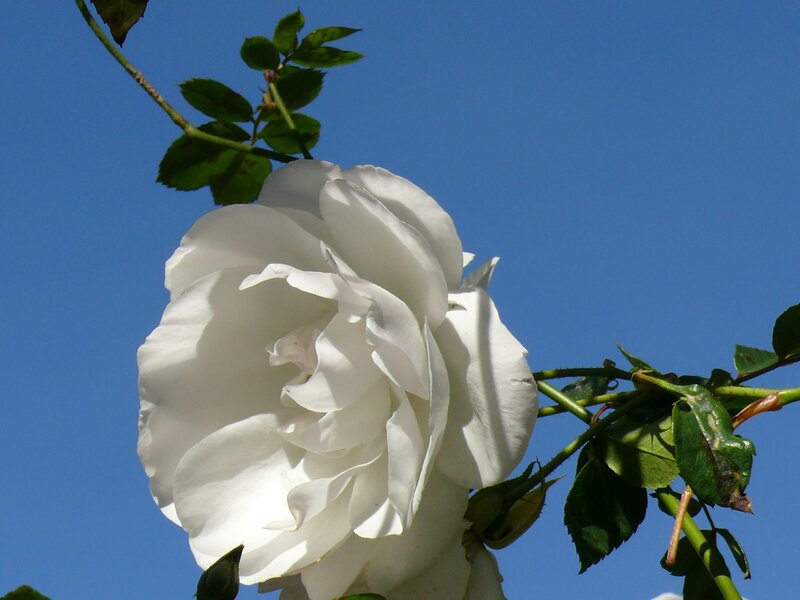 It seems to be so much colder today although the sun is shining – its VERY muggy in Sandton though – not nice and clear like your photies!! The wine does sound good on a cold day, great series of photos! 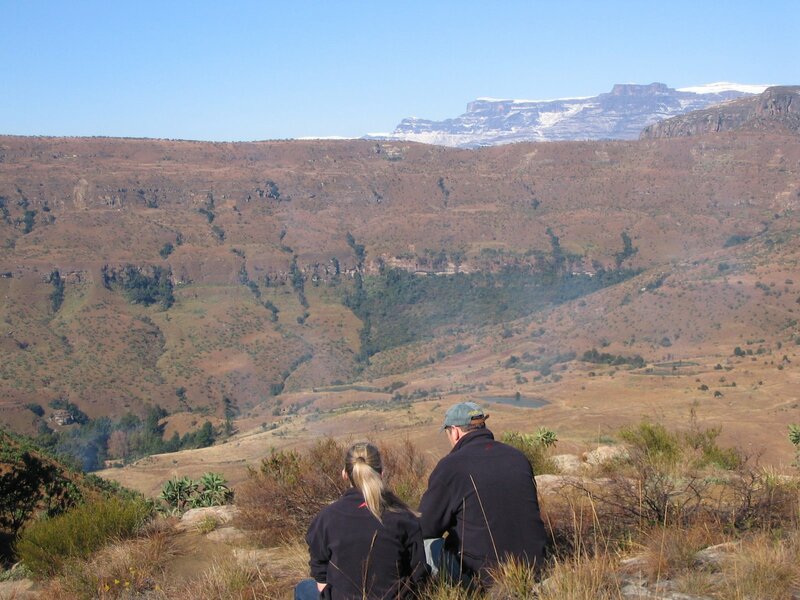 Great photos, love the mountains and the so, so blue sky. Hope you're going to keep me a piece of that lemon meringue pie you're talking about! Me too! Meeee tooo I would LOVE a piece of that lemon meringue pie! !Great photos as usual. Great photos of a beautiful country with mountains. I've never even seen a picture of Cape Town!! I think I'll stick around and get educated.